At Advanced Dental Care, we don’t just treat our patients, we get to know them! It’s one of the greatest perks of our job. Our patients are amazing people, doing amazing things in our communities and we want you to know about them. Our first Featured Patient Spotlight is actually two patients: Devin and Courtney Lucas! The Lucas’ are no stranger to the Costa Mesa community. They are the local business owners of Lucas Real Estate and active supporters of the Costa Mesa community. We first met the Lucas’ at the Costa Mesa Chamber of Commerce. We are so glad we get to know them. 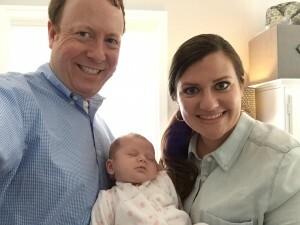 Now they are loyal patients, real estate gurus, and oh-so-happy new parents! Devin R. Lucas is a real estate attorney, broker and REALTOR® specializing in Newport Beach, Costa Mesa and Orange County communities, along with real estate legal issues throughout California. Mr. Lucas was named the “2014 REALTOR® of the Year” by the Newport Beach Association of REALTORS®, served as a Director of the California Association of REALTORS®, is an active member of multiple local and statewide REALTOR® committees, serves on the Board of the Orange County Bar Association’s Solo and Small Firm Section and is an active member of the Orange County Bar Association’s Real Estate Section. With offices located in Newport Beach, Mr. Lucas has resided in Costa Mesa since 2001 where he and his wife Courtney own a wonderful home in the Eastside Costa Mesa neighborhood, along with a nearby rental property which they self-manage. Mr. Lucas graduated from Chapman University with a Bachelor of Fine Arts and Whittier Law School with his Juris Doctor degree. Mr. Lucas is actively involved in the Newport Beach, Costa Mesa and Orange County communities and a specialist in Newport Beach, Costa Mesa and the surrounding neighborhoods. Courtney R. Lucas is a California Certified Public Accountant, USC Leventhal School of Accounting Alumni (shout out to our fellow Trojan! ), former Assurance Manager with the international accounting firm of Ernst & Young and lifelong Orange County native. Mrs. Lucas specializes in Newport Beach, Costa Mesa and Orange County residential and income properties, along with assisting the firm’s clients and attorneys with related legal and financial issues throughout California. Courtney Lucas utilizes her unique business and accounting background to her clients’ advantage, working with sellers, buyers, landlords and tenants and the entire real estate community to help strategically realize clients’ goals. Dr. Jeremy B. Jorgenson is the owner and dentist of Advanced Dental Care in Costa Mesa, CA. 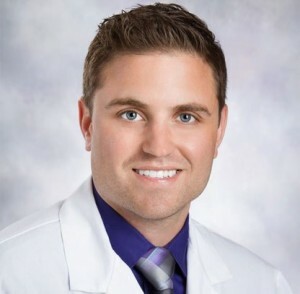 Dr. Jorgenson specializes in general dentistry, cosmetic dentistry, and restorative dentistry. For all of your dental care needs in Orange County, please call (714) 424-9099 or visit us at www.mycostamesadentist.com. We are available 24/7 for your comfort and convenience.